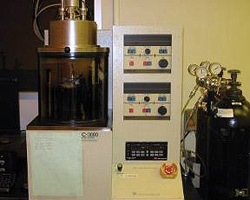 The Nanomaster NSC-3000 DC magnetron sputter tool allows sputter deposition of metallic thin films. Cosputtering is available. Current target materials are Ti, Cr, Ni, Al, Ag, Cu, and Au. This tool requires training with the tool contact and formal checkout by the faculty supervisor.